Thank you for your participation in the 2019 ISS Conference program, and/or for your interest in speaking at future ISS shows. We sincerely appreciate your helping us to provide the highest level of apparel decoration education possible and for serving as our educational partners in promoting the conference to your clientele. ISS, in collaboration with IMPRESSIONS, will once again provide education to hundreds of screen printers, embroiderers, promotional consultants, digital decorators and others, this upcoming year. 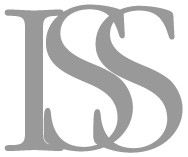 To be considered to speak at ISS, you will have to complete and submit the top and bottom sections of the proposal form, indicating what shows you are available for and any speaking requirements you might have. ISS does NOT pay for travel; however, we do offer a speaker honorarium of $250/per seminar and $300/per half-day workshop. *Please note it is NOT per speaker. Seminar Information *This question is required. This presentation will be: *This question is required. Seminar Title *This question is required. Learning Objectives *This question is required. I am submitting this presentation for: *This question is required. ISS Long Beach (CA.) - Jan. ISS Atlantic City (N.J.) - Mar. ISS Orlando (FL.) - April. ISS Houston (T.X.) - May/June. ISS Ft. Worth (TX.) - Sept/Oct. Have you presented this topic before? *This question is required. Please indicate if at ISS or another venue. Please list 2 references, with contact information. If yes, When/Where? *This question is required. Is there any date or time that you cannot present during any of the shows you selected? *This question is required. Main category of your presentation: *This question is required. Suggestions for reaching this audience: *This question is required. Level(s) of Presentation: *This question is required. Speaker 1 Information *This question is required. Speaker 1 Contact Information *This question is required. Speaker 1 Email: *This question is required. This question requires a valid email address. Speaker 1 Bio: *This question is required. Briefly describe your public speaking experience, and your expertise with the proposed topic. Speaker 1 Public Speaking Experience: *This question is required. Speaker 2 Email:	 This question requires a valid email address. Speaker 3 Email:	 This question requires a valid email address. Speaker 4 Email:	 This question requires a valid email address. Speaker 5 Email:	 This question requires a valid email address.